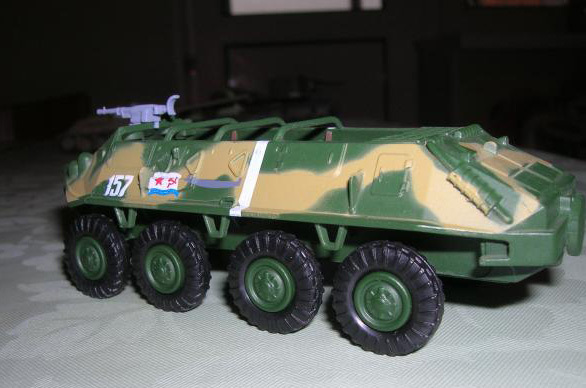 The BTR-60 is the first vehicle in a series of Soviet eight-wheeled armoured personnel carriers. It was developed in the late 1950s as a replacement for the BTR-152 and was seen first time in public in 1961. 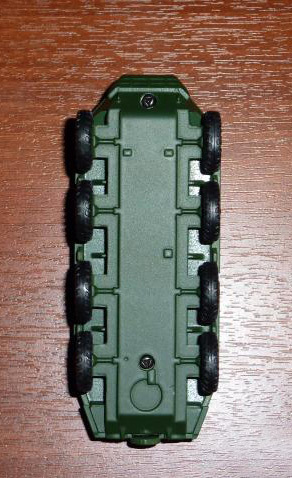 BTR stands for Bronetransportyor (БТР, Бронетранспортер, literally "armoured transporter"). 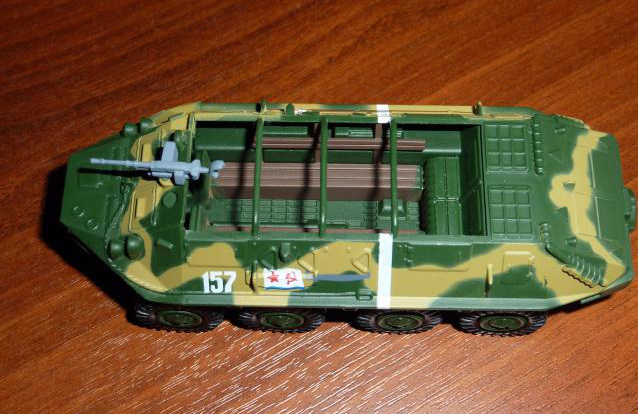 BTR-60P (1959) (P stands for plavajushhijj - "swimming") - Initial version with troop compartment completely exposed and often covered with bows and canvas. 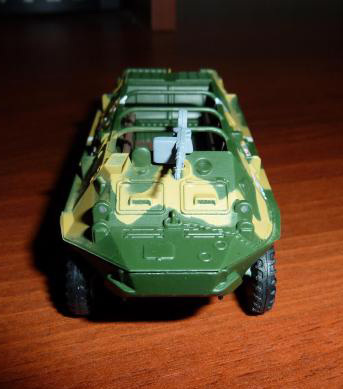 The vehicle has three mounting points for three 7.62 mm machine guns (either the PKT, the SGMB or the PKB tank/medium/general purpose machine guns can be mounted), one on the front and one on each side between the two small doors, but only one mount which is usually fitted to the front mounting point. The vehicle carries 2,000 rounds for 7.62 mm machine guns (either the PKT, the SGMB or the PKB). 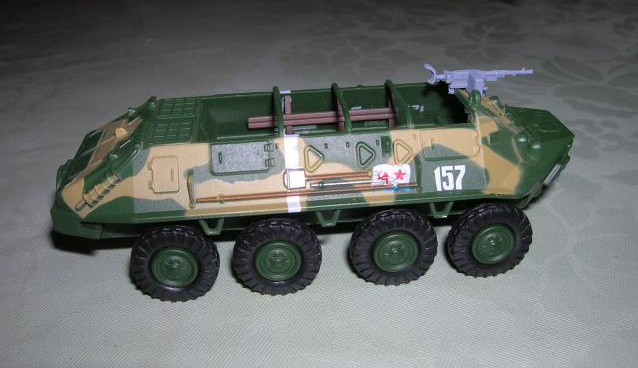 It was also known under designation GAZ-49. 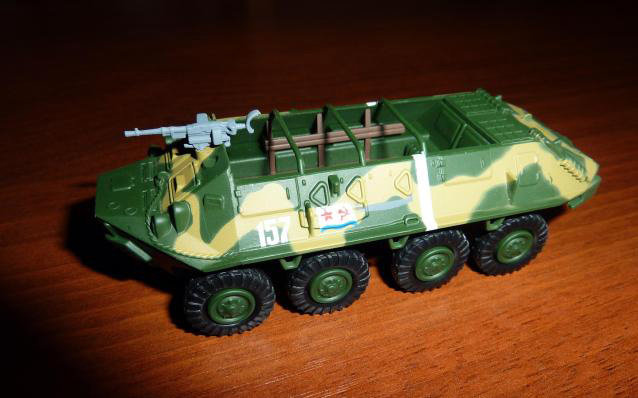 BTR-60P with a modified machine gun mounting point in the front to fit the DShK 1938/46 12.7 mm heavy machine gun like in BTR-60PA instead of the 7.62 mm machine gun (either the PKT, the SGMB or the PKB tank/medium/general purpose machine gun). The vehicle carries 500 rounds for the DShK 1938/46 12.7 mm heavy machine gun and 3,000 rounds for 7.62 mm machine guns (either the PKT, SGMB or PKB).